I was nervous weeks before we would go to America. Sending mails to Suzanna, saying: “Cannot wait till we’re there.” She must have received 30 mails saying that. It was the most stressful day of them all. I thought that I would not take enough clothing. I needed to check if we had everything. My bag was overloaded. Our departure was at 12 o’clock. We woke up on time. We had no problems on our way. All went well. We had a rental car. It was a big car and everything was automatic. Seeing Suzanna was really good. It was a long time since I saw her. 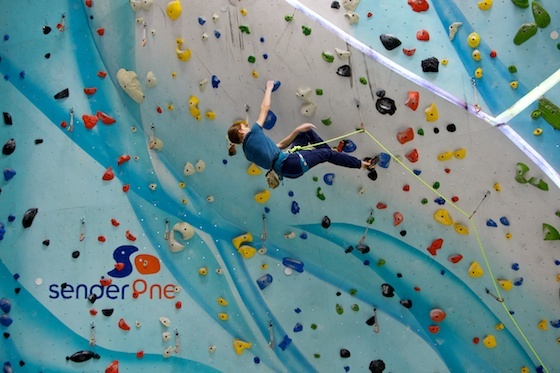 The next day, we went to Sender One, Chris Sharma’s climbing gym in Santa Ana, south of Los Angeles. I had trained very hard to be in top form when I would be there, so I was. It was just perfect. In one day, I had climbed all the difficult routes on sight except two. In one I fell, but in the second attempt I sent it. The other one was too difficult. It was all just the perfect day. I continued climbing and trying in the difficult route, but it did not work. 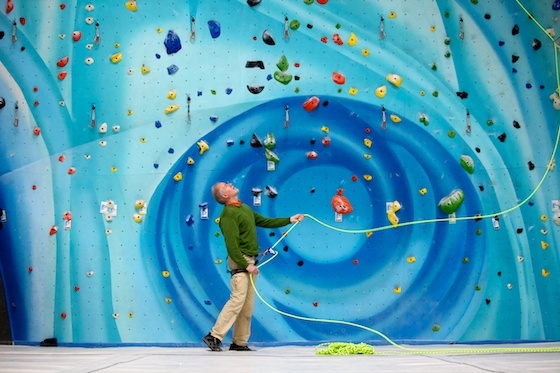 The climbing hall is 3 times bigger than Klimax I. It also has a big boulder and a fitness. We followed their yoga class, but it made us stiff for the next three days. Our trips were amazing. We had just the best vacation. We saw a lot of nature and deserts. We went to the Grand Canyon and Lower Antelope Canyon. The Grand Canyon is really grand!! Low Antelope Canyon is the most beautiful canyon ever. The walls are full of swirling structures. There could be lots of amazing routes, but it wasn’t allowed to climb. For our second trip we rented a bigger car. Because sitting with 7 in that car was very narrow and we didn’t have any space for our luggage. This big and luxurious 4×4 took us to Death Valley. It was very different from the Grand Canyon and Antelope Canyon, even though it is all in the desert. After our trips my family left, while me and my dad stayed a few days longer to climb some more. We went back to Sender One in Santa Ana, south of Los Angeles, but I was not in form anymore. 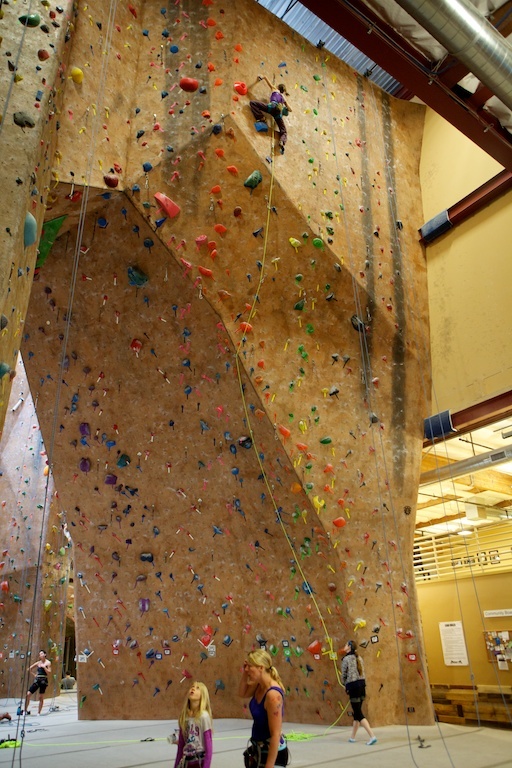 We also went to Mesa Rim, a climbing gym in San Diego. I climbed together with my sister Suzanna. We went to a cowboy party organised by Suzanna’s friends and had lots of fun. Me and my sister were in charge of the pony rides. The ponies were in fact sturdy quarter horses. I loved riding them. It was the best holiday ever.